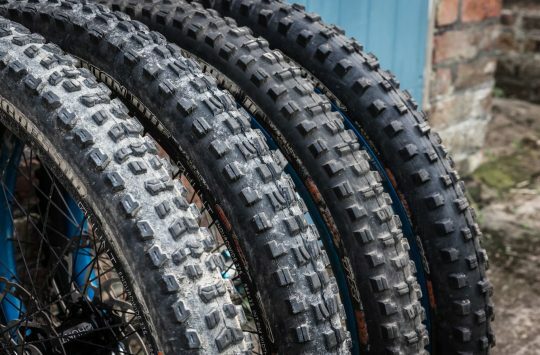 The venerable Maxxis Minion DHF tyre has been shaped and moulded into a wealth of different sizes over the past decade, though more recently the blocky tread pattern has been adapted for the new-school 2.6in width. With more volume than ‘regular’ tyres, but purportedly fewer of the downsides of ‘plus’ tyres, just how good could this new ‘tweener Minion be? To put these new not-quite-regular-not-quite-plus tyres to the test along with three other pairs of 2.6in wide tyres, we got our enduro moustachio, Ben Gerrish, to take them to task on some rocky Lake District carnage. Over to Ben! 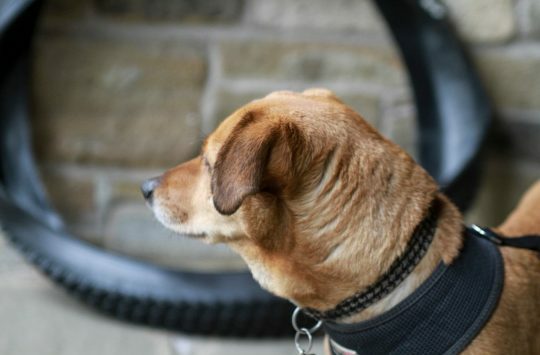 The Minion DHF is a popular tyre for many good reasons. Maxxis has blown the Minion DHF tread pattern up to 2.6in wide for this tyre. Big blocky cornering tread delivers superb grip through the turns. 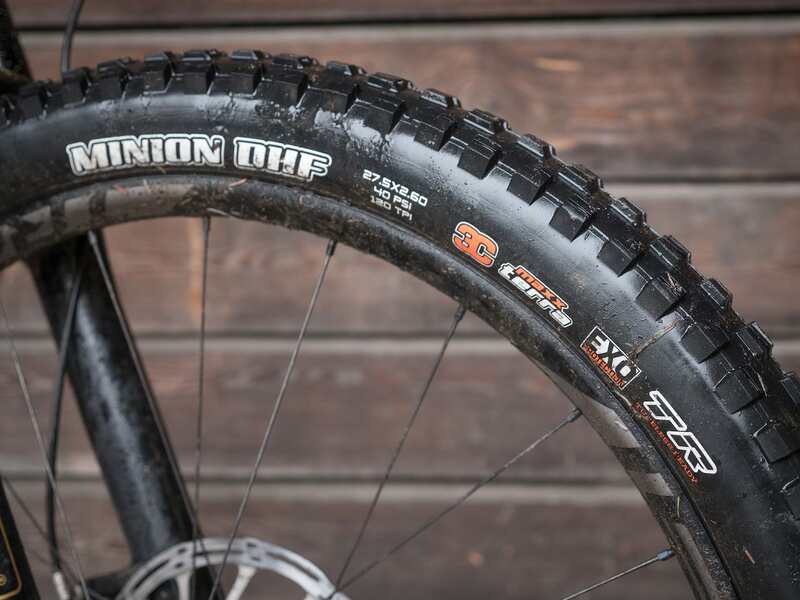 The Minion DHF is a long standing cult classic of the Maxxis stable, and thanks to its ongoing popularity it now comes in a dizzying array of compounds, casings and sizes. The 2.6in width (only available in a 27.5in diameter for now) is the newest option in the Minion family, and upon first glance, the high volume size suits the Minion DHF’s well-spaced shoulder blocks and fast rolling centre pattern equally. The 3C Maxx Terra compound present here gives us three different rubber compounds throughout the tyre. There’s a firm 70a rubber for the underlying layer that creates a robust internal skeleton for each tread block. This is then topped off with softer 50a rubber for the centre tread, and an even softer 42a rubber on the shoulder blocks that aims to balance cornering grip with rolling speed. Maxxis has perfected its triple rubber compound construction over the years, and it’s certainly been employed to full effect in the Minion DHF. The higher volume tyre can be run at lower pressures, without feeling flimsy. The EXO name comes from the armoured sidewalls, which are wrapped over a high quality 120 threads per inch (TPI) casing that offers a nice and supple feel. While the Minion DHF feels nimble and tough from the off however, they did succumb to a few punctures when things got a bit rougher and fast. Although the design and features of the tyre scream all mountain set up, a certain amount of line choice and finesse still need to be implemented for blasting down chunkier trails. For those who ride with a more blunt approach, my recommendation would be to consider the thicker and heavier Double Down casing option, which can be had in a 2.5in width. If you love hammering into sharp rocks like this, you may want to consider Maxxis’ burlier Double Down casing tyres. 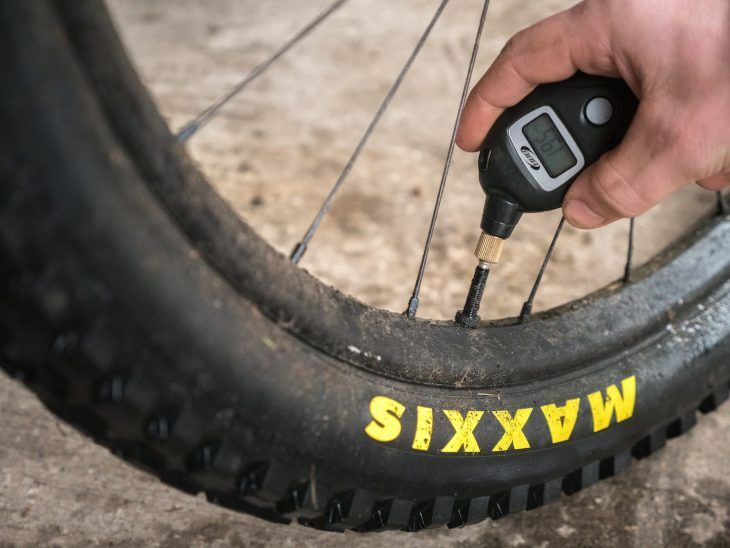 The Minion DHF set up quickly and painlessly on the 29mm test rims, giving a 63mm width at the widest point and a depth of 64mm including tread. This puts them at the same width as the 2.6in Schwalbe Nobby Nic tyres, and likewise, you can expect the Minion DHF to expand a little when fitted to a broader rim. Compared to a typical 2.3in Minion, the added overall volume of these allowed me to run a shade less pressure (around 19-25psi) whilst retaining all my desired characteristics including sufficient rolling speed and confidence-inspiring grip through the corners. Ben was surprised at how grippy the bigger 2.6in wide Minion DHF tyre is on wet roots and in greasy conditions. 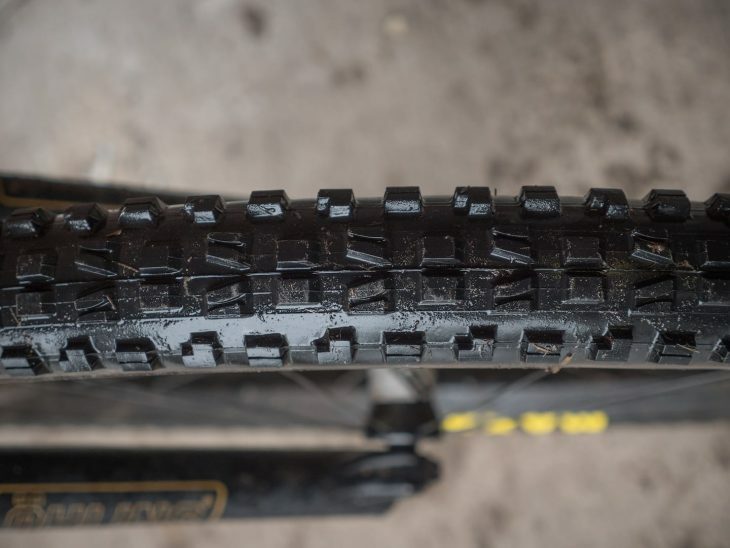 Maxxis markets the Minion DHF as an all-rounder, and (sidewall issues aside) it does well to hold its own in an array of conditions. The harder and fast rolling centre tread makes light work of the ups, and it spins up to speed surprisingly well for such a big and chunky tyre. 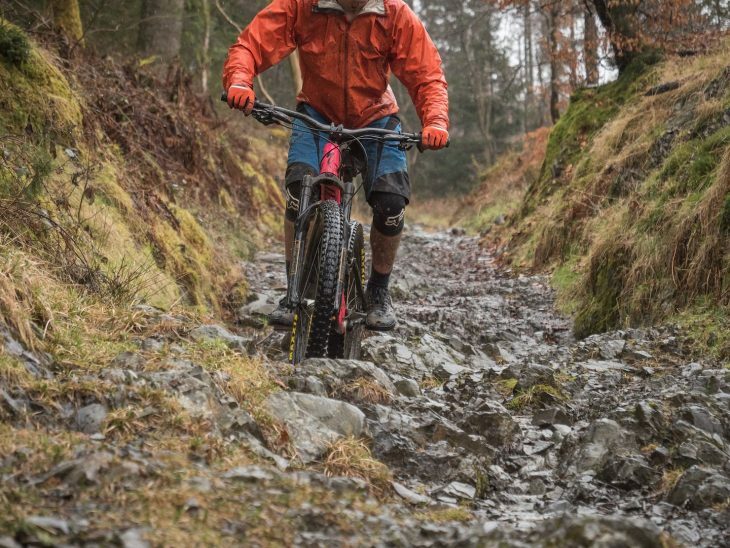 The excellent shoulder blocks help the Minion DHF to latch onto loose surfaces, and they remain stable when pummelling the tyre down rocky and sketchy sections of trail. 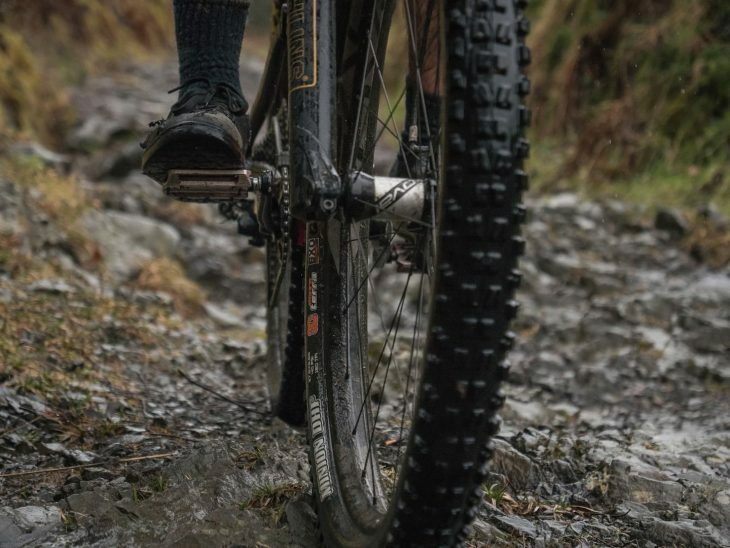 Those dependable shoulder blocks also come into their own when it gets wet and muddy, and though the Minion DHF is by no means a mud tyre specifically, the generous tread spacing on the 2.6in carcass means that mud clears quite efficiently – especially compared to skinnier versions of the same tyre. As such, cornering grip doesn’t waver too much in adverse conditions. For ripping up rocky hardpack trails, the sticky Minion DHF 3C is the business. 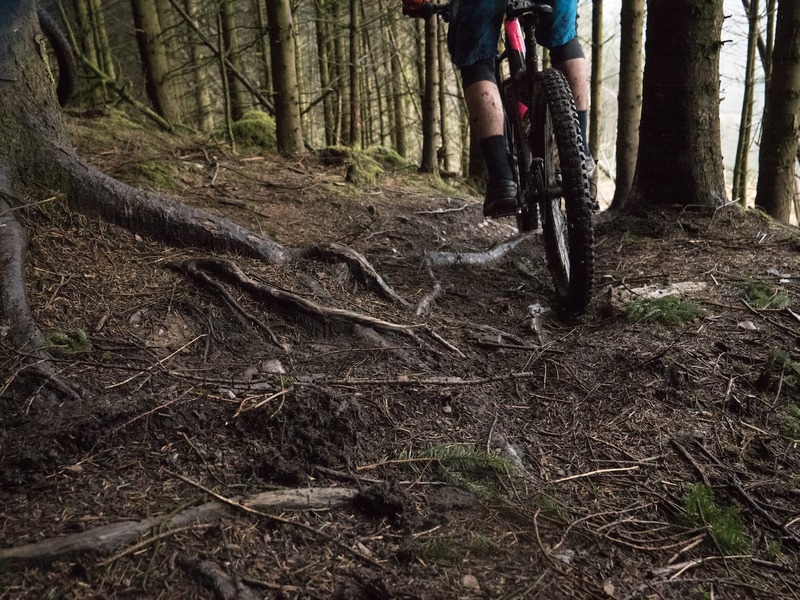 Come hardpack and trail centre-esque terrain, again those harder centre knobs keep the pace high and resistance reasonably low, for an enjoyable and efficient feeling ride. 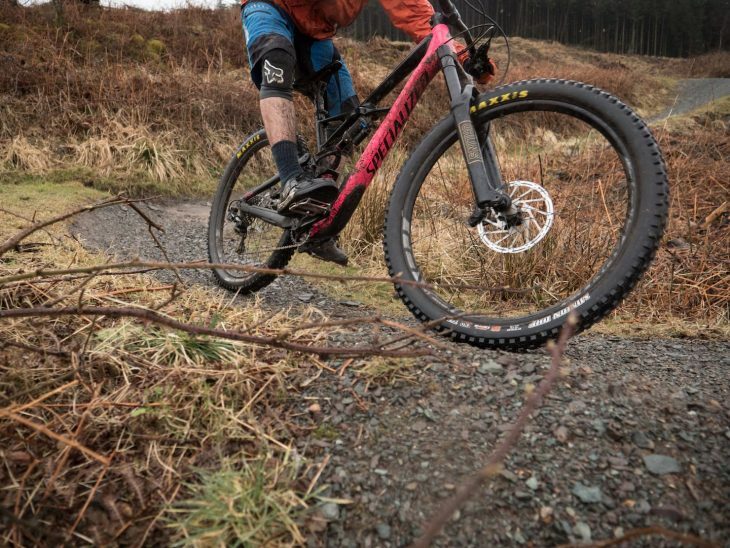 While the braking traction isn’t as eye-popping as the Minion DHR II, the Minion DHF still provides a secure and consistent amount of grip on the front tyre when grabbing the anchors on steep descents. As for the rear, I found there was more than enough traction on all but the wettest and greasiest conditions. The Minion DHF is quick-rolling for its size and grip levels. The Minion DHF is a tyre that has scaled up to the 2.6 width very well. 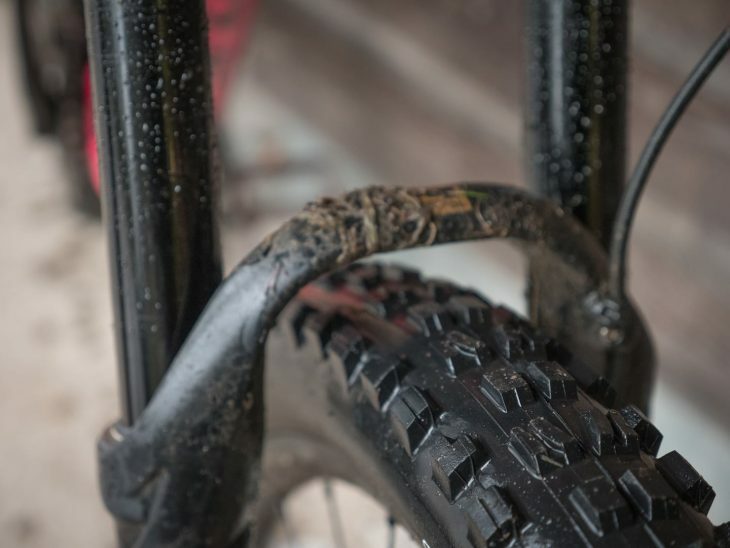 By spacing the tread a little further apart, Maxxis has managed to turn the volume down on the weak points of the 2.3in Minion DHF, making this bigger 2.6in option a versatile and dependable choice for aggressive trail riding in more conditions. It’s quick for its given size and tread pattern, and combined with exceptional cornering grip, that makes it a great all rounder for anyone wanting to give this bigger tyre size a go.